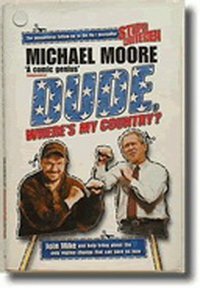 Another excellent read by Michael Moore. Again he is not happy with Bush, and he goes through in detail why. Written back in 2003 it is getting a bit dated now; but will the succeeding US government be any different as to it’s attitude towards “terrorists” given it’s own behaviour towards certain other nations? Probably not; recently the US removed scientific funding from UNESCO once it let Palestine in. They easily remember what Palestine has done but quickly forget the problems the Israeli’s cause by illegally building settlements on Palestinian land, the very reason for the unrest. There is an excellent chapter of a young girl from the future having a conversation to someone from the past when there was lots of oil; and she is asking why was so much wasted.